Aslan’s Cat Sanctuary is a HOME for cats who have been diagnosed with Feline Leukemia. Historically most cats diagnosed with this dreaded disease were euthanized on the spot. With education, new treatments and further understanding of this condition, some people have come to be willing to give these innocent and often healthy cats a chance for a great life. Sanctuaries have popped up over the years but securing a coveted spot in one of the great sanctuaries, is practically like winning LOTTO!!! One such sanctuary is ASLAN’S in upstate New York. 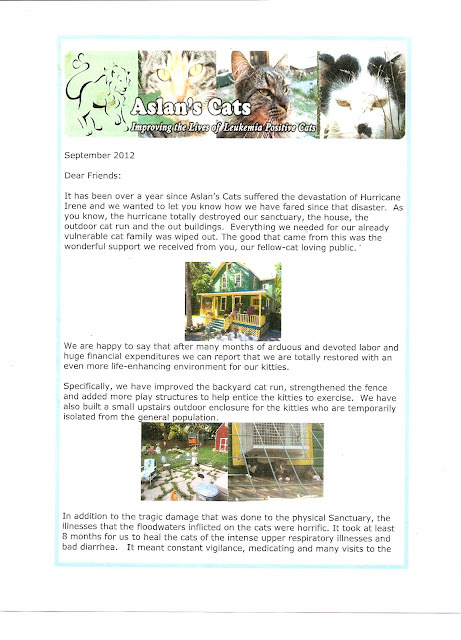 Aslans was decimated by Hurricane Irene. Through the kindness of MANY, Aslans was rebuilt. 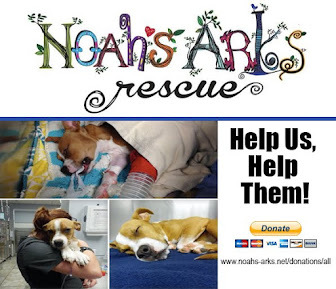 It was a miracle via the generosity of so many who gave both monetarily and physically while working there to rebuild the flooded HOME that was the only HOME to these animals. Along comes Hurricane Sandy and although Aslan’s was extremely fortunate to escape the wrath of Sandy many other people and places were NOT. 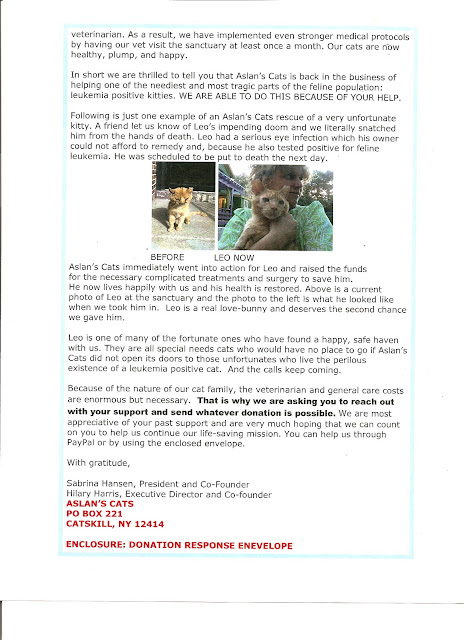 Aslans has stepped up to HELP displaced cats with feline leukemia. 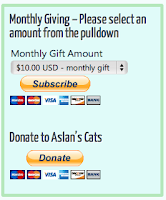 Aslans is NOW HOME to 80 cats. 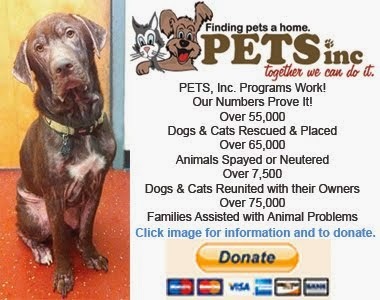 Homing and caring for 80 cats with feline leukemia is a loving, lofty goal and it will take lots and lots of money to keep these cats healthy and vetted regularly as needed. 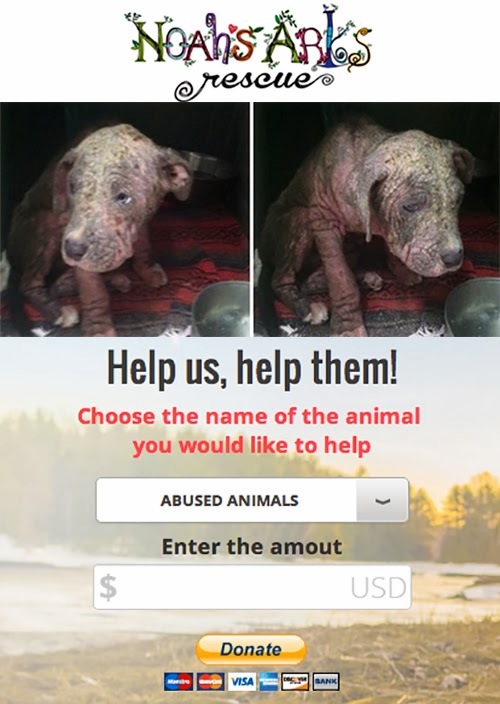 We know it CAN BE DONE...with your HELP. This sanctuary is a Work of Heart...it WILL take funding to serve the additional cats that Aslan’s WOULD NOT turn their back on. Desperate times mean desperate measures. 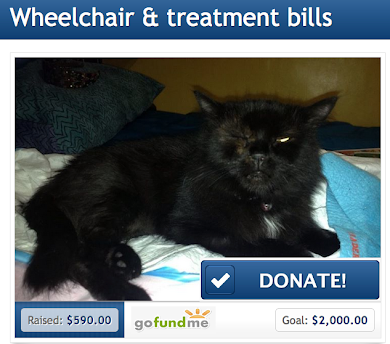 Thank you for your kind consideration on behalf of The Aslans Cats!! !